Are you looking for a professional to remove a stain from your carpet in East Lansdowne? Have you just had a major spill and need help right away? I Clean Carpet And So Much More LLC has been providing total carpet care, including carpet stain removal in East Lansdowne for over 10 years, and we'd love to help you too. Simply call (267) 495-5188 today for a free in home consultation. Stop! Before you use a commercial stain removal product that may damage your carpet or upholstery, call the experts at I Clean Carpet And So Much More LLC for East Lansdowne stain removal. Stain removal is a science. The method required for your stained East Lansdowne, Pennsylvania carpet or upholstery depends on the scope of the stain, the pH of the staining agent, and the type of fabric that needs treatment. Once we understand these variables, we will be able to apply the right solution to remove it. The technicians at I Clean Carpet And So Much More LLC have been carefully yet effectively removing stains from East Lansdowne carpets for years! 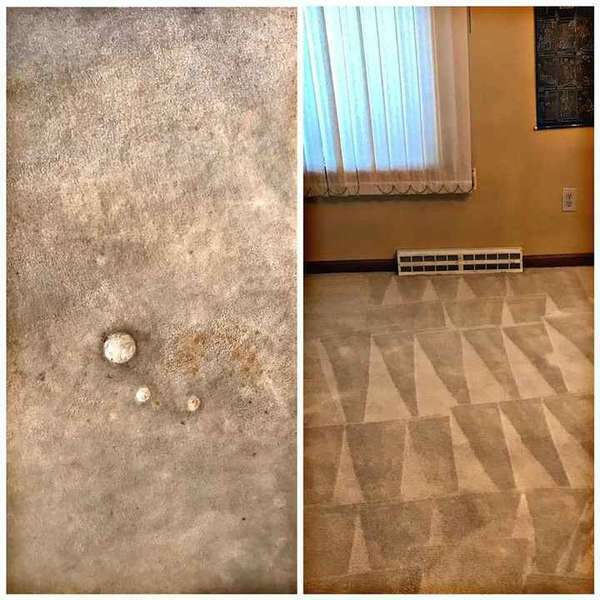 East Lansdowne residents have trusted I Clean Carpet And So Much More LLC with their worst stains, because they know that I Clean Carpet And So Much More LLC stain removal experts have been extensively trained in stain removal. They know how to assess a stain to determine it's chemical composition, and can eradicate it from your East Lansdowne stained carpet, while protecting its delicate fibers.